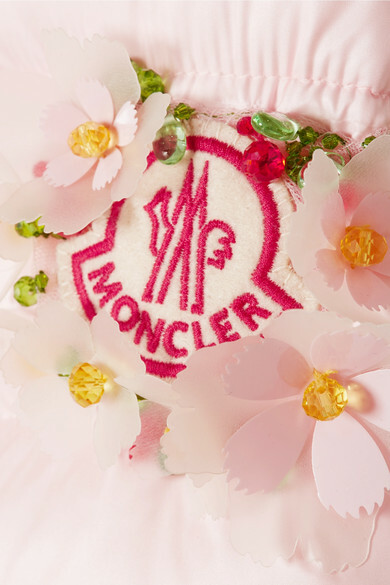 Simone Rocha brings her romantic style to Moncler Genius' fourth collaboration with feminine colors, mixed fabrics and delicate details. 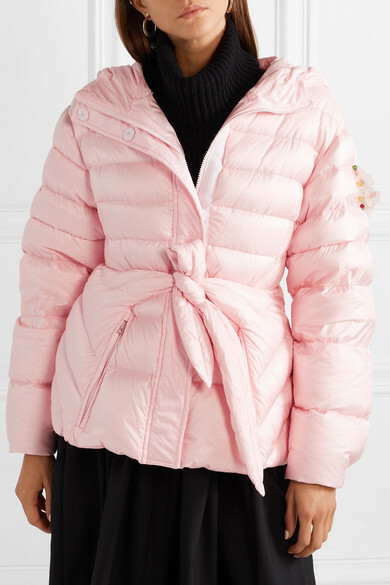 This down jacket is made from pastel pink shell and features pretty floral embellishments at the sleeve and a knotted tie to define your waist. 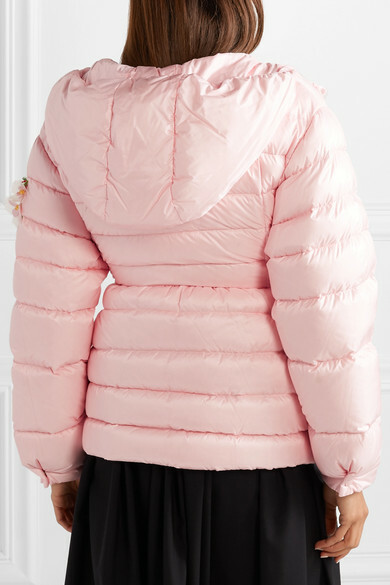 Style it with a floaty skirt and combat boots, as the designer intended. 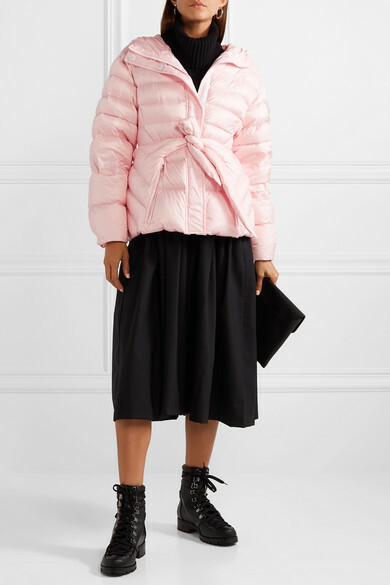 Shown here with: Comme des Garçons GIRL Skirt, Antonio Berardi Top, Givenchy Clutch, Christian Louboutin Ankle boots, Jennifer Fisher Earrings.